Sapphire 3® Oxylight® is very relaxing, and generally 4-6 treatments are recommended for maximum benefit. Maintenance treatments may follow once a month. There is no discomfort and no recovery time is necessary. Treatments are progressive and you’ll notice further improvement with every treatment. The Oxylight utilizes both LED light and oxygen in the therapeutic process. LED Oxylight therapy: The treatment incorporates numerous light wavelengths in order to eliminate detrimental bacteria, boost the production of collagen, enhance oxygenation and allow for skin tightening. 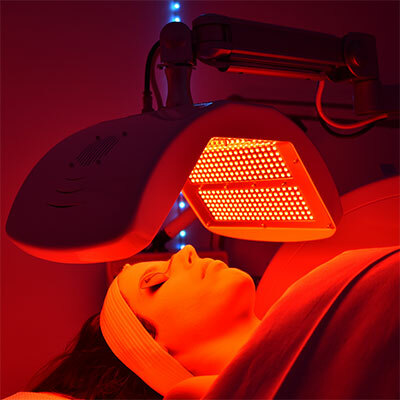 Specifically, the Oxylight system uses red, blue and yellow wavelengths of light in conjunction with beneficial radio waves, oxygen, vitamin exfoliation and microcurrent. All of his works to revitalize and heal your skin, giving you the glowing, youthful complexion you want. Oxygen: The Oxylight uses a specialized oxygen system that brings in the surrounding air and effectively filters it to the point where it’s 95% pure. This healthful, purified air is then used for oxygen sprays, high-pressure oxygen sprays, negative pressure vacuum therapy and other results-driven treatments. The oxygen is often applied to the skin with serums and vitamins incorporated. As a result, you get a luxurious treatment that provides numerous health benefits. The oxygen works great with blue or red LED light with microcurrent. Diamond Microdermabrasion: The Oxylight’s rare diamond tip is crystal-free and suction-free to easily remove the skin’s dull surface layers. The result from this is a clean polished face that will be more receptive to the oxygen and light therapies. Biosonix ultrasound: This modality is an innovative hand piece which combines full spectrum LED light therapy with ultrasound waves. This biosonix ultra sound therapy works on a cellular level to stimulate blood circulation, aid in the release of ATP production, and provide lymphatic flow naturally. Microcurrent: Oxylight’s microcurrent works on a cellular level to re-energize the muscle structure of the face that weakens with the passage of time. Microcurrent contours and lifts the face naturally, increases ATP ( raw cellular energy ) , and infuses powerful products deeper into the skin for immediate results, leaving the skin lifted and glowing naturally without the use of toxic injections or invasive surgeries. 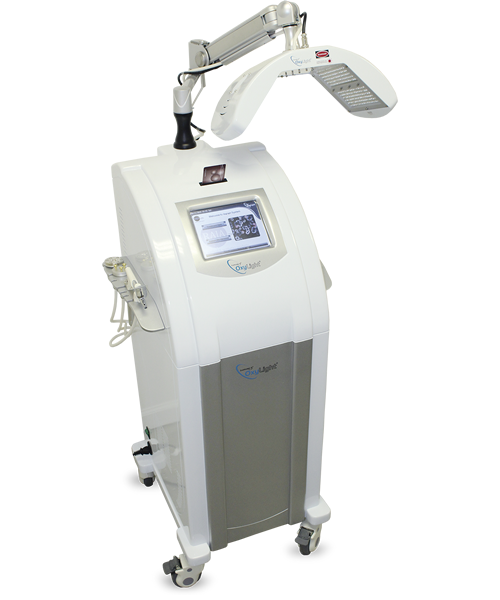 Let our Oxylight therapy give you the healthy, rejuvenated skin you’re looking for.